Sarasota, Florida is home to well over fifty thousand people. Many of those thousands own and enjoy boats that they can launch into the warm, calm water of the Gulf of Mexico from along Sarasota’s beaches, into the Sarasota Bay, or from one of the many keys that are just offshore from the mainland. This midsize, bustling city is popular with residents and visitors alike thanks to its great access to the water and as the average temperature hovers between 71 and 89 degrees all year round, which means hundreds of days of great boating weather each year. 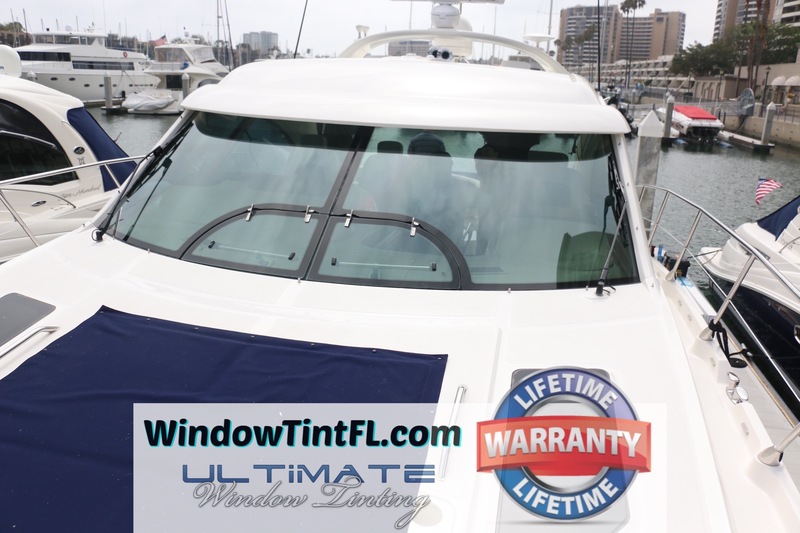 All that Sarasota sunshine also means boat cabins that will be prematurely discolored and faded if the windows are not treated with marine window tint. In Sarasota boat window film is as important for maintaining the condition of a boat as sunglasses are for protecting your own eye health. Sunshine contains UV light that fades upholstery and can weaken, discolor, and crack the hard surfaces of a boat cabin, such as the dashboard or tables. Sunlight also warms up a cabin, making it hot and stuffy and less pleasurable for the passengers. 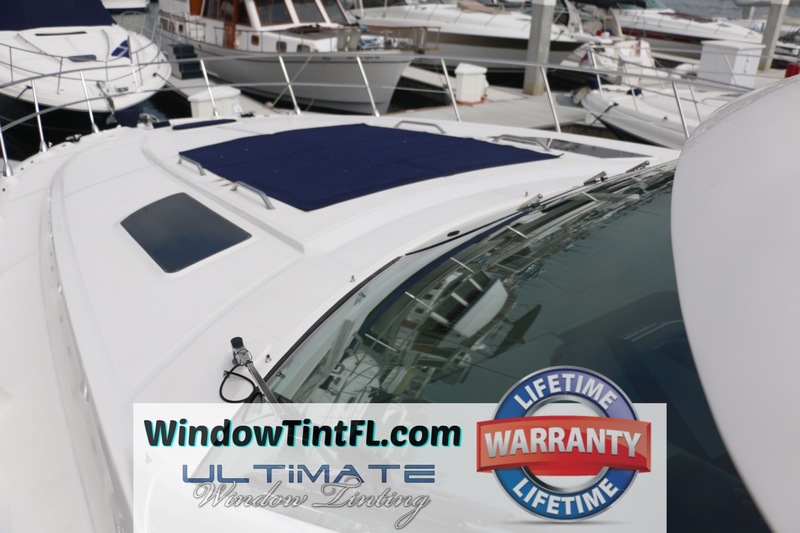 Marine window tint blocks 99% of the sun’s harmful UV rays, stopping the interior damage that hurts appearance and resale value, and it reduces IR light transmission enough to keep your boat’s interior cool and inviting. 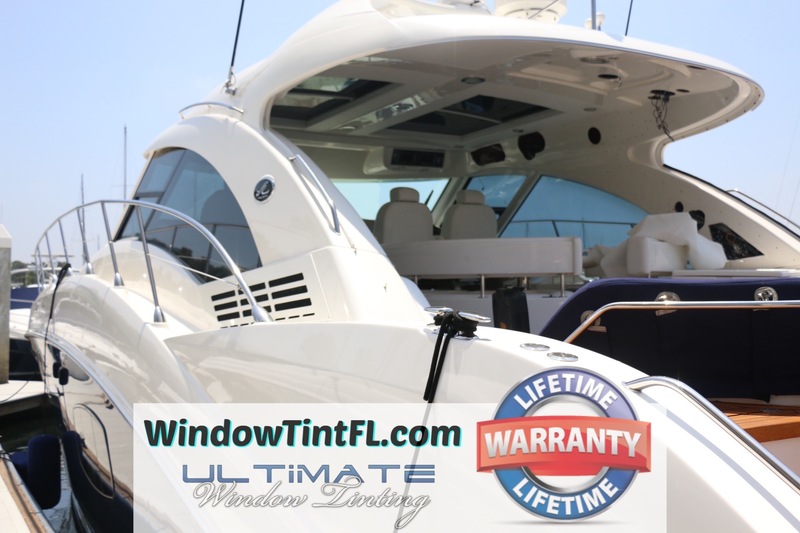 In Sarasota window tint for boats means more hours of enjoying your yacht, sailboat, or fishing vessel each day and more years before any major repairs or replacements are needed within the cabin. Even if your boat had window tint on the glass when you bought it, chances are good that the base tinting is not blocking all the UV light or nearly as much IR light as possible. Have the vessel looked at by a window tint expert in Sarasota and see whether it would benefit from additional marine window film.